The Saint-Claude Roman Catholic Church was designed by architect Etienne Gaboury who designed the Saint-Boniface Cathedral. With its long narrow tinted windows, the interior is as unconventional in concept as is its unusual exterior and surrounded by beautiful gardens. Open by appointment. 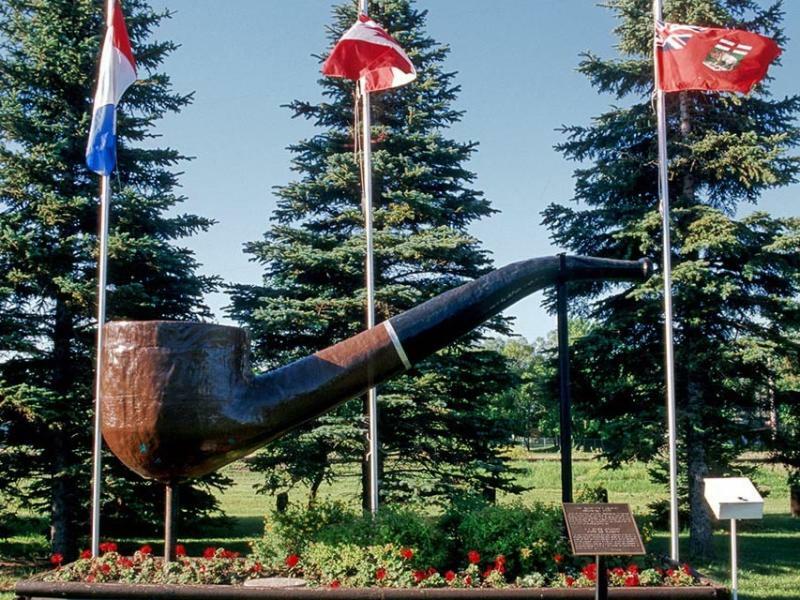 Saint-Claude has the world's second largest Smoking Pipe commemorating early settlers who came from Saint-Claude, Jura, France, whose main industry was the manufacturing of smoking pipes. The Dairy Museum of Manitoba features local dairying from early practices to modern processing, agricultural exhibits, a one-room school, a chapel museum and old CPR station. Open Monday to Friday 10 a.m. - 5 p.m. in July and August. Admission charged. 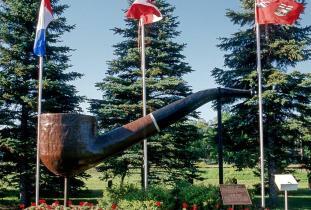 The Saint-Claude Cenotaph, inaugurated July 14, 1921, is dedicated to soldiers who died in wars throughout the world. Visit Saint-Claude Community Gardens, a kilometer of gardens where artists-gardeners gather to plant and maintain these local gardens, award winners of Communities in Bloom 2004. The former gaol has been restored and is now open as a museum and tourist attraction. The building also houses the new Saint-Claude tourist office. Location: Hwy 240 & 1st St.